Lhakpa Ri (Xang Dong Feng) mountaineering expedition gives you an impeccable mountain climbing experience amidst the richly varied landscape. Lhakpa Ri (Xang Dong Feng), towering over Tibet mountain range at an elevation of 7,045 meters, divides the upper East Rongbuk glacier and upper Kharta glacier. 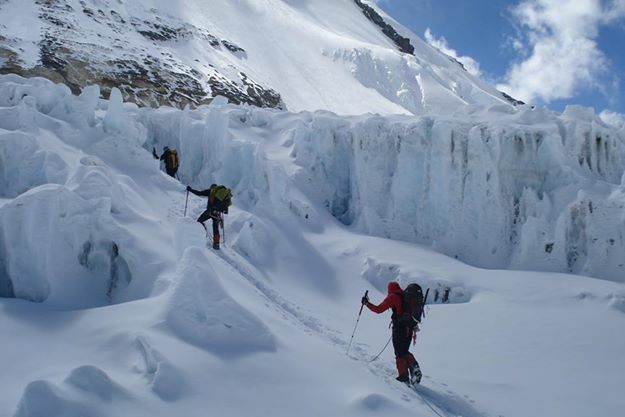 It lies in proximity to mighty Mt Everest boasting mesmerizing sights of Nyonno Ri range in eastern Tibet, the north faces of Chomolonzo, Makalu and Pethangtse, Shartse, Kangshung (east) face of Everest, east face of Lhotse, the north east ridge of Everest, the North Col, Changtse, Cho Oyu and Shishapangma as stunning backdrops.